In addition to all the nutrients, an egg hosts two critical antioxidants that have a fundamental impact on your eye health. Lutein and Zeaxanthin are found in large amounts in egg yolks and tend to congregate in the eye, and high levels of both of these reduce the risk of cataracts and macular degeneration. It’s been found that eating just 1.3 egg yolks a day for 4.5 weeks increased blood levels of Lutein by nearly 50 percent and Zeaxanthin by 140 percent. Today. At 116, the world’s oldest living person loves eating eggs every day. http://www.today.com/health/world-s-oldest-living-person-emma-morano-eats-eggs-every-t104523 Published: October 31st, 2016. Accessed: November 8, 2016. Authority Nutrition. Top 10 Health Benefits of Eating Eggs. https://authoritynutrition.com/10-proven-health-benefits-of-eggs/ Accessed: November 8, 2016. Best Health Magazine. 5 Reasons to Eat More Eggs. http://www.besthealthmag.ca/best-eats/nutrition/5-reasons-to-eat-more-eggs/ Accessed: November 8, 2016. Authority Nutrition. Why are eggs good for you? An Egg-ceptional superfood. https://authoritynutrition.com/why-are-eggs-good-for-you/ Accessed: November 8, 2016.
International Journal of Obesity. Egg Breakfast Enhances Weight Loss. http://www.nature.com/ijo/journal/v32/n10/abs/ijo2008130a.html Published: 2008 Accessed: November 8, 2016. Youtube. 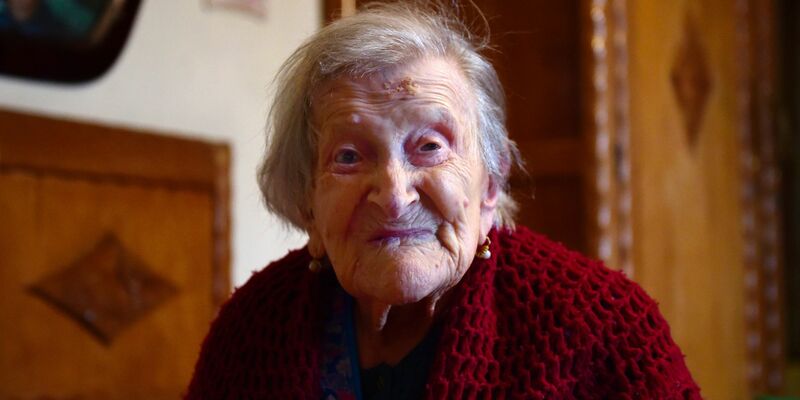 Emma Morano: 116 Years Old & Last Person Born In 1800s. https://www.youtube.com/watch?v=h2J3SzGA33U Published: May 14, 2016. Accessed: November 10, 2016.